Released in 2014, Siddharth’s musical gangster film, Jigarthanda, earned critical and commercial acclaim. The film went on to attain a cult status and even got its antagonist Bobby Simha a national award. 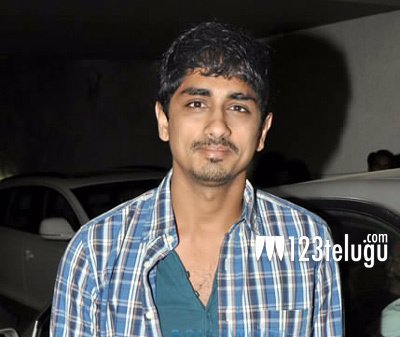 To cash in on Siddharth’s popularity in Telugu, the film was dubbed as Chikkadu Dorakadu and it has been awaiting its release since last year. As per the latest update, Chikkadu Dorakadu will be releasing on the 4th of March. The film was directed by Karthik Subbaraj of Pizza fame and Lakshmi Menon plays the film’s leading lady. Chikkadu Dorakadu will have a tough competition from a few notable Telugu releases like Kalyana Vaibhogame, Guntur Talkies and Shourya.